The switches and outlets in your home are the gateways between you and your home’s electric. They help you turn lights on and off, plug in your electronics, and generally live a happier, brighter life. EarlyBird Electrician offers a wide variety of switch and outlet installation services to suit your needs and we do them all with the best tried-and-true techniques we’re known for. 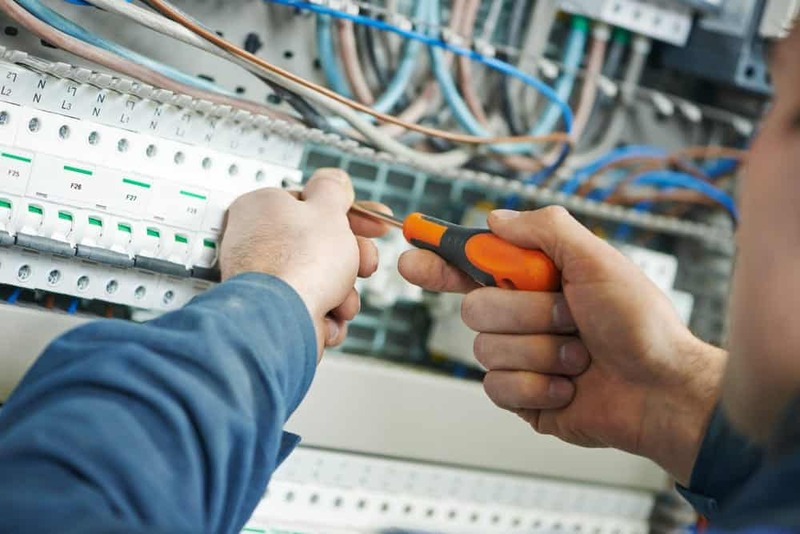 The licensed, expert technicians we employ at EarlyBird Electrician are available 24 hours a day, seven days a week to take your call. They’ll answer your questions about the upgrades you’re looking for before helping you create a switch and outlet installation plan that fits your home, your budget, and your needs. What are the different types of switches and outlets that EarlyBird Electrician can install? Standard toggle. Manually pushed up or down by a mechanical handle, the most commonly found variety of light switch. Decora. Decora is a brand of light switches known for their flat, sleek appearance and ease-of-use. 3-way. A three-way wall switch is a variation on a traditional toggle switch that gives control of a fixture to multiple locations in a single room. 4-way. Just like the three-way switch but with another toggle added. Programmable. Programmable timer switches allow you to have more control over when and how your lights turn on and off. You can set timers to turn lights on or off after a set amount of time and more with switches like these. Remote. Remote control electrical outlets are for homeowners that are interested in taking steps towards having a fully automated smart home. They’re typically able to be controlled through Bluetooth connected apps and can help you turn plugged in devices on and off remotely. Motion Detector. Like the name suggest, these switches contain a motion detection element that allows them to switch themselves on and off based on perceived motion within a room. Standard Duplex. These are your average, everyday outlets. If you imagine an electrical outlet, the image that comes to mind will likely be one of these. Decora. Decora is a well-known, long lasting switch and outlet provider that uses sleek, stylish design. GFCI. A ground fault circuit interrupter outlet, or GFCI, is a circuit breaker outlet. It is capable of sensing when a current is flowing in a way it’s not meant to – such as through water or a person – and can shut itself off automatically to reduce risk of electric shock. Twist lock. Outlets with added security features to keep the things plugged into them exactly where they need to be. Tamper Resistant. Tamper resistant outlets won’t open unless a two-prong plug is evenly inserted into the outlet in the right way, preventing children from sticking troubling things like forks or hairpins in them. Remote Controlled. Just like the aforementioned remote controlled switches, these are outlets that can be controlled remotely from a device like a smartphone as part of a larger home automation project. Half Hot. A half-hot outlet looks like a typical duplex outlet but it has one half permanently on while the other half can be turned off and on via a wall switch. …and more, including outlets made for specific appliances!